While the staff at Lockhart/Gardner adjust to new realities and relationships, Alicia must put aside distractions in her personal life to defend a Muslim student accused of murdering a Jewish classmate. Alicia discovers she must become an expert on English law when a libel case she wins involving a businessman from Britain becomes an international matter after it is retried and transferred to a court in England via satellite. Alicia and Will go toe-to-toe with his ex during a court-ordered mediation, while Eli and Diane clash over the best way to handle a dairy company’s PR disaster. Alicia takes a pro bono case in which a witness quickly becomes the prime suspect. Meanwhile, Will and Diane plot the firm’s direction and their futures. When Alicia's key witness commits suicide, she must turn to the only person whose testimony can salvage her case: Colin Sweeney. Meanwhile, Eli makes big moves on Peter's behalf. While Alicia wades through diplomatic loopholes to defend a Taiwanese national, Eli is approached by his ex-wife to vet her for a possible political campaign. 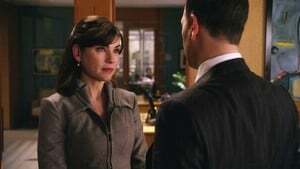 Alicia worries that she will break confidentiality when the Treasury Department forces her to report on her latest client, while Peter reluctantly digs into Will's past transgressions. 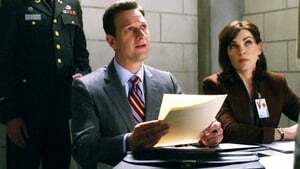 In order to keep a client from being convicted of murder, Alicia must obtain a stay of execution for a guilty man; Eli tries to stay ahead of a client's possible scandal. Tensions are high at Lockhart & Gardner as Alicia and Will argue in front of a mercurial military judge, Eli’s confidence is shaken and Diane issues an ultimatum to protect the firm. A routine arbitration turns into a battle of wills between Alicia and Louis Canning, but the pair makes an unexpected connection when a personal crisis interrupts the proceedings. As Alicia looks for a way to have a judgment thrown out following a shocking guilty verdict, she also begins to feel the consequences of decisions in her personal life. Lockhart-Gardner faces trouble when a recently divorced couple claims they influenced their separation for their own personal gain. Alicia defends a client charged with protecting the identity of the creator of an illegal currency. With her investigation complete, Special Prosecutor Wendy Scott-Carr presents her evidence against Will to the grand jury in hopes of sending him to prison for bribery. Meanwhile, Eli and Stacie Hall square off once again. Lockhart & Gardner leads a class action suit against a software company that allowed the Syrian government to “disappear” American citizens. Also, Will faces a hard decision in the wake of the Grand Jury proceedings. While power grabs are being made at the firm, Alicia and Caitlin square off against old foe Nancy Crozier. Meanwhile, Peter discovers the price of taking the moral high road. Alicia must once again aid Colin Sweeney when a sexual misconduct claim derails his attempt to win back control of his company. Also, Cary is faced with a moral dilemma when Peter tasks him with enforcing office policies. Alicia once again faces Louis Canning in court, but recent financial concerns lead her to reconsider his standing job offer. Meanwhile, Diane reconnects with the enigmatic Jack Copeland. Alicia is assigned to be on a blue-ribbon panel that is investigating a police shooting. But she soon begins to question the actions of the panel chairman. As Alicia counsels a client whether to accept a strict plea deal, she's distracted by Peter's newest political rival, whose actions force her back into the public spotlight. Alicia defends a judge against misconduct charges stemming from his days as a prosecutor. 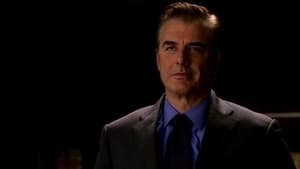 Meanwhile, Cary makes a career decision and Kalinda deals with the repercussions of Agent Delaney's investigation. Will and Diane scramble when Louis Canning and Patti Nyholm team up to bankrupt the firm. Also, Alicia faces conflicted feelings regarding her relationship with Peter, and Kalinda's past catches up to her.